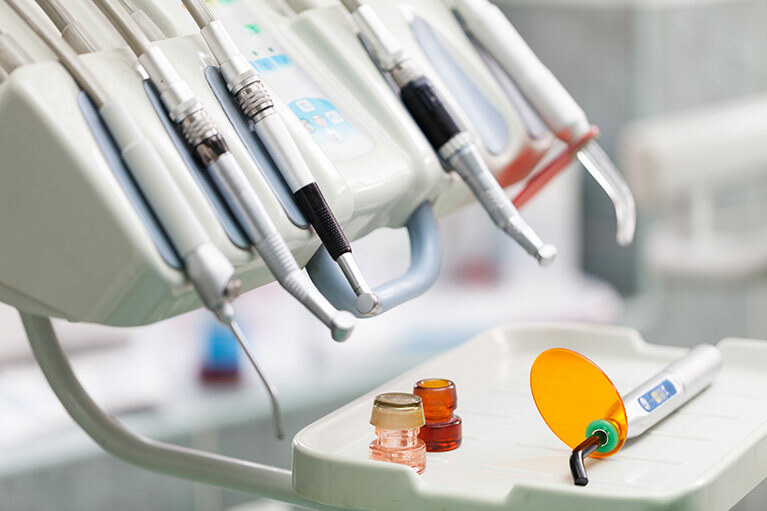 Here at Devin Giron, DDS, we use revolutionary technology that helps us provide world-class dentistry for our patients—from air abrasion to painless injections. One thing that sets our practice apart—our ace in the hole, if you will—is Dr. Giron’s choice to make the Zeiss™ dental microscope the heart of his practice. Zeiss is an international leader in optical and optoelectronic technologies, and Dr. Giron feels microscope dentistry is the most effective diagnostic tool for our patients. We’ll admit the enhanced magnification and illumination capabilities and overall design of the dental microscope make Dr. Giron’s job easier in a number of ways, but microscope dentistry also provides direct benefits to our patients, starting with more accurate diagnoses and treatment. In the long run, this reduces discomfort and invasive dental procedures, and facilitates optimal results that feel better and last longer. Magnification has revolutionized the world of dentistry. Use of a dental microscope provides unparalleled visuals to diagnose gum disease, cavities, or spot potential oral cancer signs early. Improved magnification and lighting of the dental microscope make tooth fracture, infection, and damaged tissue readily apparent. Endodontists (dental root canal specialists) consider microscope dentistry a standard of care. Air abrasion allows Dr. Giron to remove minor tooth decay and stains without a dental drill, using an instrument resembling a tiny sandblaster. The instrument sprays particles of silica, aluminum oxide or a baking soda mixture at the portion of the tooth being treated. After the decay or stain has been removed from the tooth surface, the particles are suctioned away via a tube to avoid them being breathed into the lungs. The patient also wears protective eyewear and a dental dam for safety. It can be a positive option for fearful patients, particularly if they have minimal decay. Air abrasion leaves more of the healthy tooth structure behind, reduces risk for tooth fracture and chipping, can reduce the need for anesthesia, and generates no heat or vibration. Air abrasion is not recommended for deep cavities, and the air and abrasive particles can cause sensitivity. Crowns, inlays, and onlays cannot be prepared by using air abrasion. Get in touch today and we’ll show you how it works! Digital x-rays have replaced traditional photographic x-ray film, recording higher quality images of teeth, gums and oral structure both inside and outside the mouth. Interior digital x-rays detect cavities and monitor the teeth and bone, while exterior x-rays can detect impacted teeth and reveal where TMJ/TMD problems originate. Bitewing x-rays are radiographs taken with the patient biting down on the film showing details of upper and lower teeth, from the top crown of each tooth to the supporting bone. Bitewings can detect decay between teeth and bone density changes due to gum disease. Periapical, or limited, x-rays show an entire tooth from the top crown to beyond the root tips, extending to the supporting bone in either the upper or lower jaw. Limited x-rays aid treatment of gum disease and abscess. An intraoral camera resembles a great big oversized pen. Intraoral cameras record video images inside the mouth that appear on a computer screen for immediate viewing. While these images can be used for diagnosis, they are also an effective tool for patient education—instead of Dr. Giron telling you what’s going on in your mouth, he can actually show you. Intraoral camera images can also save paper, as many insurance carriers are now accepting emails of the images rather than requiring hard-copy printed ones. An intraoral camera can detect failing fillings, hairline tooth fractures, bleeding gums, plaque, and other dental problems without the patient ever leaving the chair. With the use of the intraoral camera and the Zeiss microscope, it will be easier for patients to understand why Dr. Giron has recommended a specific treatment plan. You won’t believe the results technology helps Dr. Giron achieve—get in touch today! Approximately 50 million Americans have a fear of needles—so if you happen to be one of them, you are not alone! It is estimated that 20% of those 50 million avoid medical treatment altogether due to needle phobia. Devin Giron, DDS wants to help you not be one of them, and that’s why we offer painless injections. We are committed to providing the least stressful dental experience possible. We love our patients! Let us work with you and help calm your fears. Many people don’t realize that burning or stinging from an injection isn’t caused by the needle, but the anesthetic being used. Local anesthetics tend to be acidic, with a pH level comparable to that of citric acid. The high acidity is a major contributor to injection pain. Painless injections utilize buffering, a process that neutralizes acids. Buffering reduces anesthesia’s high acidity to mimic the body’s natural pH, allowing patients to become numb faster and increasing the likelihood of greater comfort during their procedure. “Cavities” is a familiar word for most of us, but in dentistry cavities are usually called “caries”. (The terms are interchangeable.) Dental caries are the result of bacterial imbalance inside the mouth. Brushing and flossing reduce the number of bacteria but cannot regulate the mouth’s chemical balance. CariFree makes rinses, toothpaste and other products that are pH elevated, which means they can balance the chemistry in your mouth and have been scientifically proven to prevent cavities. Nobody wants to be labeled “cavity-prone”, but some people definitely seem more likely to get cavities than others. CariFree products can give your oral hygiene routine a little more bite. CariFree has formulated what they call a “blueprint for mineralization” that includes pH neutralization, Xylitol, fluoride, and other science-based treatment to prevent formation of dental caries. Get in touch today to find out what our technology and products can do for your smile!